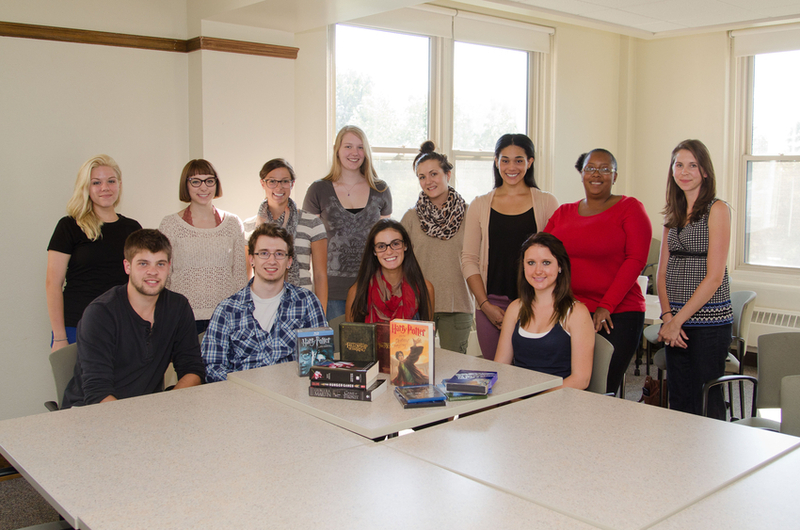 I have the privilege of teaching Comm 415 Media Marathoning in spring of 2015 at Nazareth College. I will update this page periodically with class lessons and activities. The Media Marathoning Syllabus has changed quite a bit since 2012. Activity: Write list of ambiguously moral characters from books, film, TV. Work in small groups to identify key figures of ambiguous morality. Select image, write up brief ambiguous morality bio (2-3 sentences, including good and bad). Find when the character debuted. How should we deal with spoilers? Define Kenneth Burke’s equipment for living (E for L). Why is it easy to receive lessons from marathoned stories? Conscious E for L: What resonated with your experiences? Villain characteristics, Frankenstein’s monster, E for L: Why do we crave rebirth? Hero characteristics, E for L: What is the appeal of the morality delusion? Key scenes for hero and villain in LoTR? Activity: Make post on your blog or this one describing an additional hero or villain characteristic (shared among 2 more more characters from different stories). Content: Briefly describe the characteristic. Include a brief clip illustrating the characteristic. Discuss what equipment for living this characteristic offers. Consider aesthetics and formatting. What is Mittell arguing TV scholarship does not do that it should? Why is Lost a “great” show? Clip: The Office season 2, episode 24. What of the narrative, character development, and camera rhetoric encourages the formation of parasocial relationships? Choose a character and critique the episode as that person. What makes a gratifying series finale? Key question from Perks reading: When we dislike a series ending, is it because we really don’t like the ending, or are we sad that our friends’ stories are over? Thesis of each reading? Main points? Questions raised? Difference between marathon and media event? Similar themes with previous readings? Dialogue with the press release through this activity: Divide class into Super Bowl watchers and Media Marathoners, respond to the following questions: What led up to the event? What motivated you to engage in the experience? What emotions did you experience? What behaviors did you exhibit? What was the event’s syntax (its order)? What values did you take from the storytelling that was part of the event? How do you feel when reflecting back on the experience? Group work: Connections, contradictions among the two readings? Thesis of each chapter? Main points? Questions raised? Week 2: Why is Media Marathoning a Contemporary Trend? Mittell Article Questions: Thesis? Main points? What additional shows would you add? How/why do they fit the model? What are complexity’s benefits to viewers? What are its economic benefits to content-producers? Perks Chapter Questions: Thesis? Main points? Additional Questions? What new services and technologies can update the book? Discuss HBO’s proposed online-only service. Ice breaker: Find the classmate whose Netflix queue and Kindle library are most likely to align with yours. Discussion Questions: What commonalities and contradictions do you see among the articles? Discussion Questions: What does Trilogy Time have in common with marathons you’ve done? What unique storytelling devices do you see in this episode? What makes HIMYM marathonable? Here is the syllabus I used to teach COMM 434 Media Marathoning in the fall of 2012.